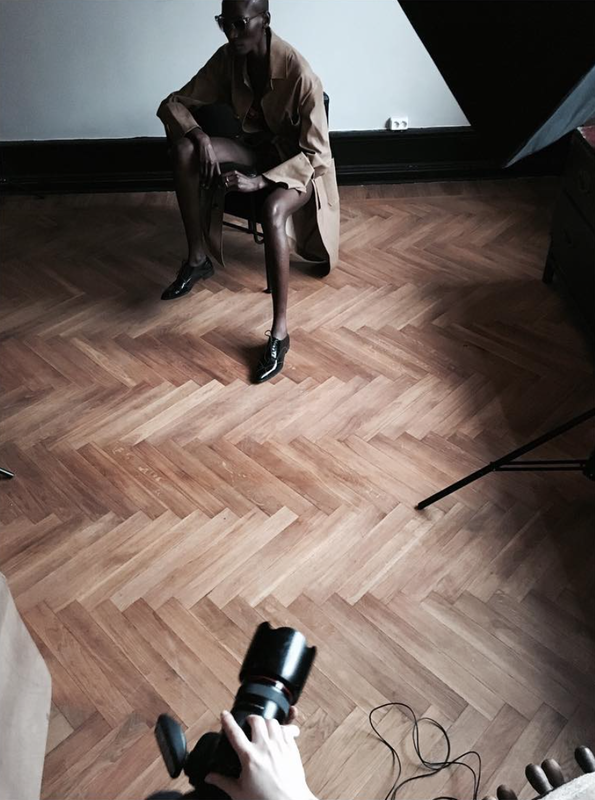 Behind the scene photos taken by Malin Ljung. Photographer: Saerun Noren from Stockholm find more about her portfolio HERE. Model: Ania Nama who lives in New York. Actually theres a fun story about how we met her for the first time in Soho, NYC. More is coming soon. Stylist: Maire Olsson Nylander the best and creative stylist we ever knew. Marie has a very fantasy and creative mind, nothing is impossible! Goldsmith and jewelry stylist: Malin Ljung, find her jewelry collection in the store this spring and in summertime she has her jewelry workshop on the island Ven, between Sweden and Denmark. More about Malin and her handmade jewelry HERE. Stylist and owner: Monica Daxberg is an entrepreneur and runs the store Ballroom Blitzz. With her passion for both interior and fashion she created this cool, urban, sophisticated and luxury concept store almost one year ago.